In her installations Ayşe Erkmen takes the empty spaces and open questions that architectures and surroundings leave behind and translates them into a minimalist grammar of forms. The multipart installation for the Secession starts from the separation between the entrance area and the exhibition space and evolves from the resulting tension between the different imagined moments of the building and its surroundings. 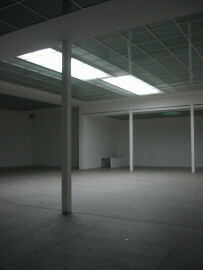 In the middle section of the main room, beams of light move across the glass ceiling. They mark the underside of two platforms that are mounted above the ceiling of the exhibition room and are normally used for cleaning the glass surfaces. 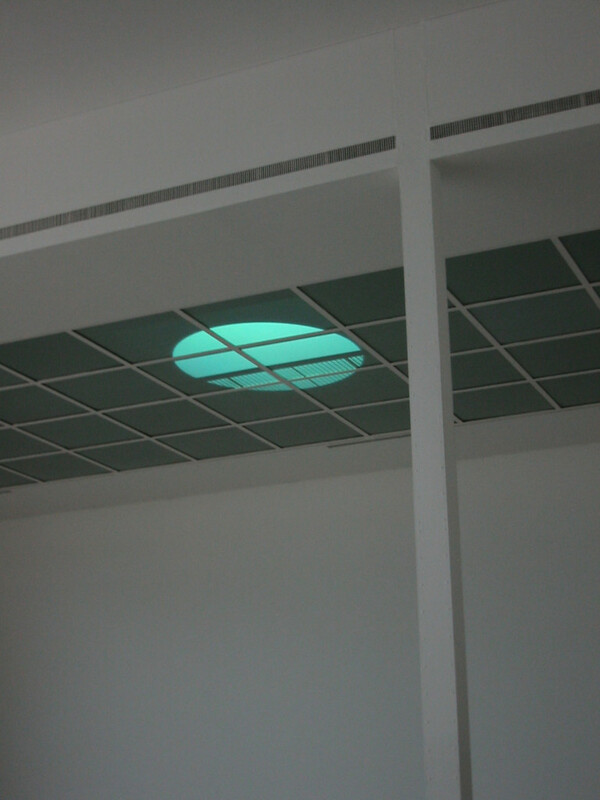 By artistically emphasizing them, Erkmen addresses an intersection of illumination and daylight that defines the exhibition situation. While the platforms continuously glide back and forth horizontally across the entire length of the room, Erkmen introduces a second movement on the left and right in the side sections. 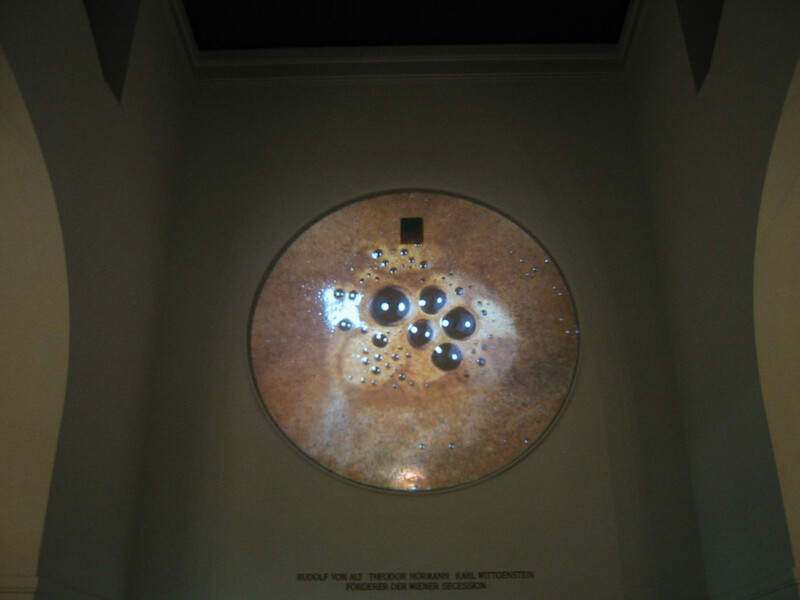 Two video projections that are projected onto the glass ceiling from the off as well each display a white circle on a black background, which flashes at a varying rhythm. 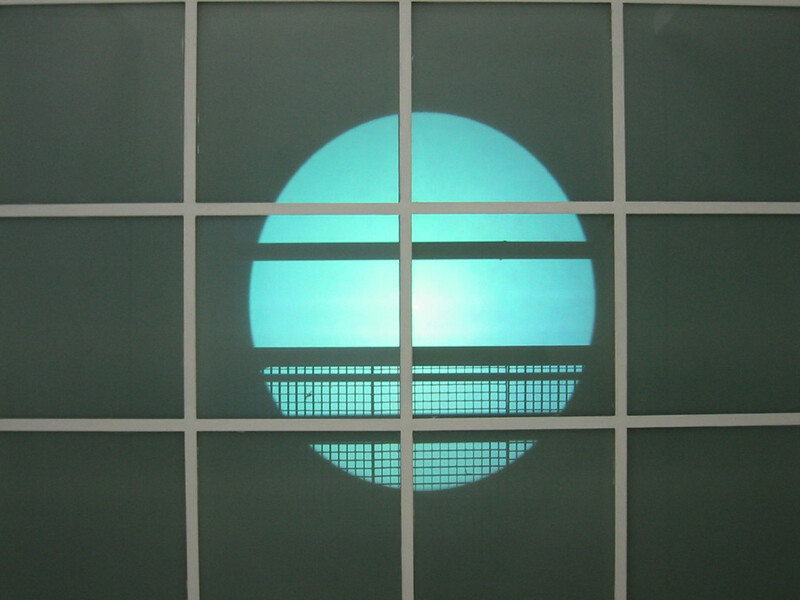 While the impulses set a signal on the glass ceiling, at the same time they also refer to motifs from early avant-garde films and their experiments with light and perception, which used structural abstraction to pursue a different way of seeing. By shifting the action in her installation to the glass ceiling, which is simultaneously the boundary of the space, Erkmen constructs a situation, in which elements of avant-garde film and the white cube meet at an imagined and architectural suture: the myth of a neutral space, the artistic practice of rejecting the logistics and image language of the commercial (film) industry and introducing the economic, social and political implications of representations into the aesthetic experience through abstraction. Parallel to this, Erkmen shifts the motor noise of the moving platforms into the space itself, thus inserting an acoustic level in addition to the visual one. This scene is prefaced by a slide series in the foyer of the Secession, which again picks up the circular form. 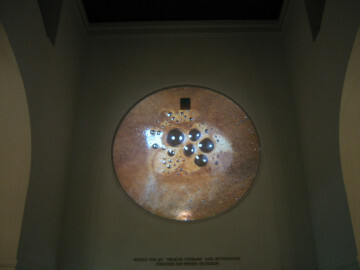 The circle, which is open and abstract in the main room, here shows the surface of coffee projected onto the rosette above the entrance, a central part of the architecture characterized by Jugendstil. 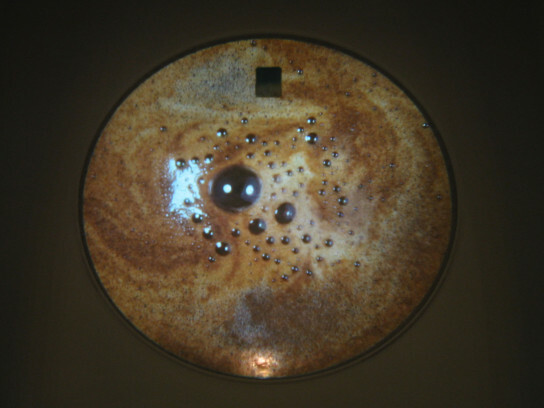 In the pictures, which leave out the edge of the coffee cup, the arrangement and the density of the bubbles resulting from boiling the coffee vary and continuously assume new formations in the successive sequence of the projection. The subject of coffee in the entrance area and the installations in the main gallery retain the possibility of multiple interpretations in their social and historical implications. And they are provocative in the way they are combined with one another, in relation to the title of the project and the interior and exterior spaces surrounding them, but also in relation to the question of a transfer of cultural narratives in an exhibition context. 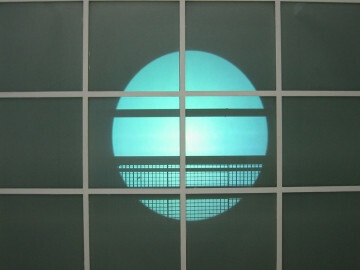 At the same time, Erkmen emphasizes in her work the temporariness: the ephemere of an interpretation, but also of an artistic practice of site-related installations. 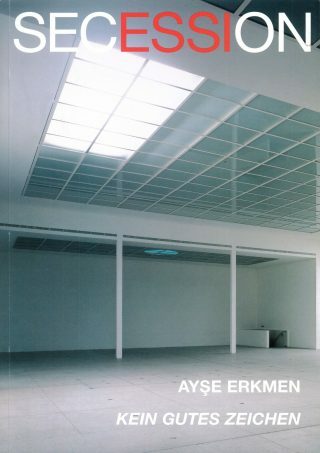 Ayşe Erkmen lives and works in Berlin and Istanbul.